Susan Eisenhower is the Eisenhower Institute’s Chairman Emeritus. She was a founding director and the first president of the Eisenhower Institute where she became known for her work in the former Soviet Union. For more than twenty years she traveled extensively to that region, on matters related US national security. More recently she has concentrated her efforts on the energy security field. Eisenhower is also the CEO and Chairman of the Eisenhower Group, Inc. (EGI), a Washington D.C. based consulting company founded in 1986. For nearly thirty years the company has provided strategic counsel on business development, public affairs and communications projects. EGI has advised Fortune 500 companies, not just in the United States, but also abroad—in China, Russia, Central Asia and Western Europe – for such companies as American Express, IBM, Coca Cola, AES, Alcoa, and General Electric. Over the years, three different Secretaries of Energy have appointment her as a member of three blue ribbon commissions for the Department of Energy: The Baker-Cutler Commission on U.S. Funded Non-Proliferation Programs in Russia; The Sununu-Meserve Commission on Nuclear Energy; and the Blue Ribbon Commission on America’s Nuclear Future, which released its findings on a comprehensive program for the back end of the nuclear fuel cycle in the winter of 2012. She was also appointed to the National Academy of Sciences Standing Committee on International Security and Arms Control, where she served eight years. After many years on the NASA Advisory Council, she served as a commissioner on the International Space Station Management and Cost Evaluation Task Force. Eisenhower is currently a member of MIT’s Energy Initiative Advisory Board and co-chairman of NEAC, the Secretary of Energy’s Nuclear Energy Advisory Board. She has also been a Fellow at Harvard’s Institute of Politics and a Distinguished Fellow at the Nixon Center, now called the Center for National Interest. In addition, Eisenhower has done speaking in executive training and keynote speeches on strategic leadership. She has spoken on this subject in many corporate venues, as well as at distinguished institutions such as the United States Military Academy at West Point; the Foreign Policy Association in New York; the Army War College, Carlisle; Sandia National Laboratory; MIT; and Australia’s Science and Technology Organization, which is part of the Australian Ministry of Defense. Eisenhower has also authored hundreds of op-eds for newspapers, including the Washington Post and the LA Times, appeared frequently on national television and radio, and her articles have appeared in such journals as the National Academy of Sciences’ Issues in Science and Technology and the Naval Institutes’ Proceedings. She has written four trade press books, two of which were on regional bestseller lists, and she co-authored or co-edited four other books on international security issues. As an expert on issues related to the region of the former Soviet Union, Eisenhower has written and edited a number of publications on regional security issues, most recently Partners in Space. 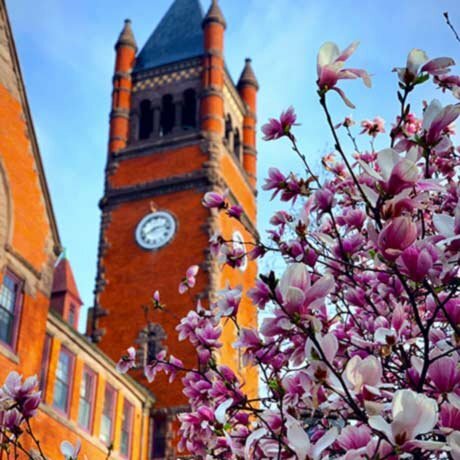 At Gettysburg College, Eisenhower offers her undergraduate program, Strategy & Leadership in Transformational Times, which highlights the vital intersection between strategy and leadership while emphasizing the truly transformational times we are living in today.